In the world of cold soups, Russia seems to punch above it’s weight in contribution. 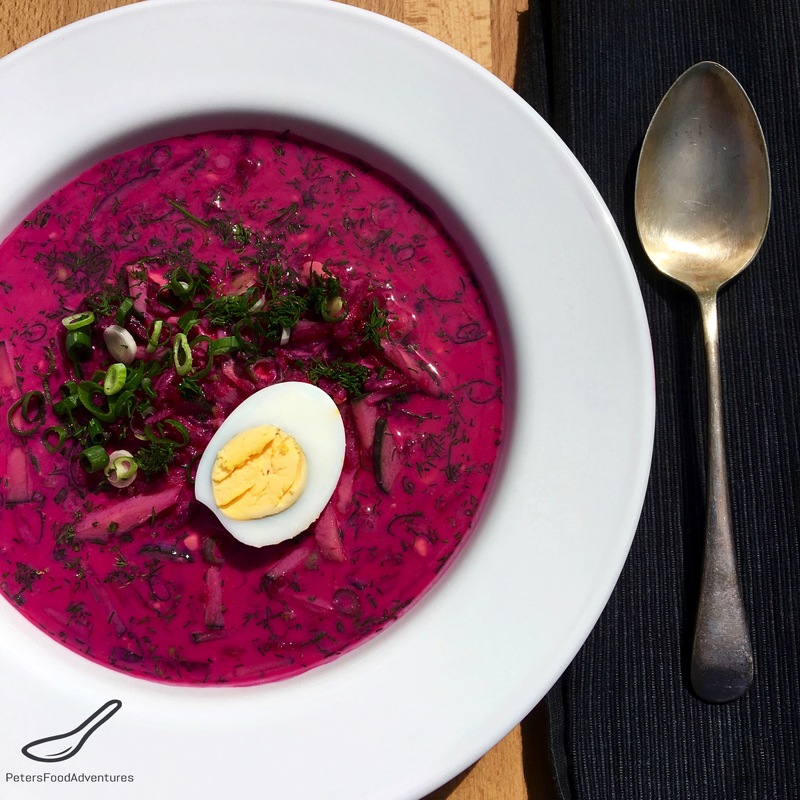 Classic Beet Borscht served hot is what most people think of when talking about Russian soups, but there are so many different types of Russian soups that are eaten cold. Gazpacho is probably the most famous Italian cold soup most of us have heard of. Svekolnik, Okroshka with Kefir, Okroshka with Kvas, Cold Borscht, to name a few, are all packed with vegetables and are incredibly healthy. Holodnik has the craziest colour in a soup that you will ever see. A bright pink soup is almost hard to eat, but I absolutely love the colour of this soup. My wife doesn’t like cold soups, but this is packed with so many vegetables, I told her to pretend it’s a salad that has too much salad dressing. 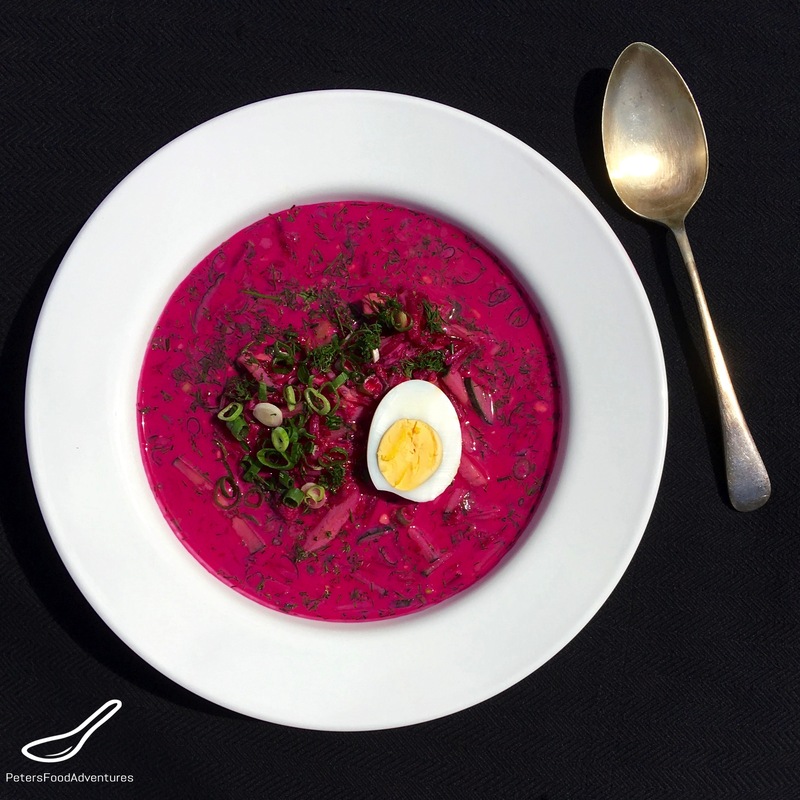 The Russian garden is full of beets, cucumbers and dill, so this soup is just a natural extension of what is grown in the garden. On a hot summer’s day, the last thing you want to do is to slave away over a hot stove. It was 38°C when I made this soup, and it was so refreshing to eat this for dinner. The only thing that was missing was carbs for me. Traditionally this soup is eaten with fresh potatoes, but I prefer to eat it with a crusty loaf of fresh bread. The soup base is Kefir, which is a fermented milk drink that is packed full of probiotics. Kefir has been popular in Russian, Eastern Europe and Central Asia for centuries, and is only recently making an appearance in the west. If you can’t find Kefir, you can substitute plain natural unsweetened yogurt mixed with milk. Mix 750ml of yogurt with 250ml of milk, and whisk until all lumps are gone and is smooth. You can roast the beets instead of boiling them. I like to peel the beets, then boil them, and use the beet water for a richer color in the soup. That colour, so vibrant, almost an electric pink soup. Almost worth making Holodnik, just to eat a bowl of pink soup. Just tell people you made it for the vegetables and the health benefits. Bon Appetit! Приятного аппетита! Peel the beets and boil them until they are cooked and soft (easily pierced with a fork). This will take around 40 minutes, depending on the size of the beets. Reserve 1 litre of the liquid for your soup. Grate the beets and set aside. Finely chop the cucumbers, 6 hard boiled eggs and the green onions. Cut 4 hard boiled eggs in half lengthwise and set aside. In a pot, combine the kefir, lemon juice and the reserved water from the beets. Add the salt and taste. Adjust if necessary. Add the grated beets, cucumber, chopped eggs, green onions, mix together and refrigerate in the frige until cold. Serve with 1/2 egg in each bowl, along with a generous dollop of sour cream and dill. Enjoy. It’s a lot of fun to eat pink soup! We also make something like this. Brings back memories! Thanks Lynn! It’s so colourful and fun to eat too!